So far it has been a pretty productive blogging effort this March. Think this is my third post and the month is only 5 days old! Truth be told, there was a slight lull in my daily grind with the recent neck surgery which put a hold on my run training schedule. This gave a lot of extra time to work up images ahead of time – that is the most time consuming part of this little enterprise. Fortunately, that lull is over now and I’m back to pounding the pavement every other day (today put in 10 miles, but need to start pushing it – race season commences mid April and losing 13 days because of the stitches didn’t help). While the legs rest for a bit thought it would be a good time to exercise the fingers and pound out a post (never hurts to get ahead of the self-imposed blogging quota). Ummm, well admittedly that is another bird, but it is different! This time it is not a new bird on my birding list. See, completely different. 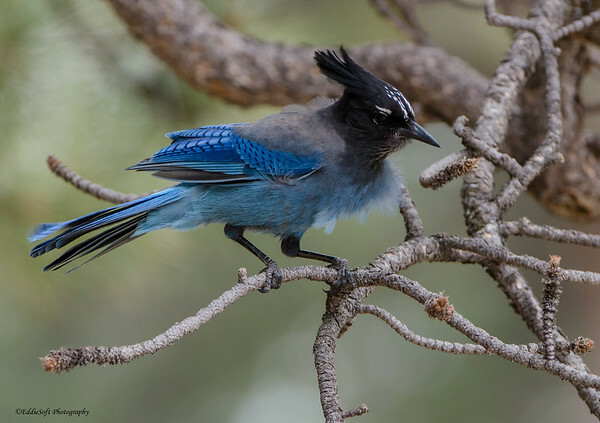 The Steller’s Jay already debuted on my blog 8 years back (link here) It is quite shocking to think I am in my 10th year of blogging – where has the time gone? The time not spent running that is ha. Like the previous time, this Steller’s was shot in Rocky Mountain National Park, Colorado back in May 2014. If you live in the heartland (or fly over country for the coasters) like me, you are going to have to make your way out west if you want to have a chance to see these rather cool looking birds. Probably a good thing for our birds seeing how intimidating these Jays look in person – might give our local birds a complex. Hit the jump to see a few more images of the Steller’s and maybe learn some interesting facts. Continue reading Why So Blue Woody? 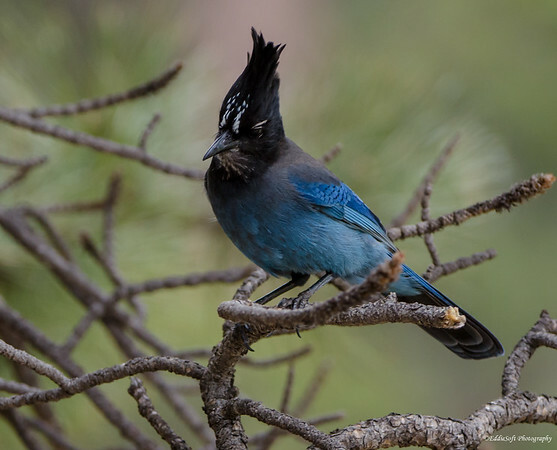 Posted on March 5, 2017 Categories Birds, Observation, WildlifeTags Rocky Mountain National Park Colorado, Steller's Jay4 Comments on Why So Blue Woody?